Albert Whitman & Company, 9780807536308, 32pp. Sally is a young girl living in rural Alabama in the early 1900s, a time when people were struggling to grow food in soil that had been depleted by years of cotton production. 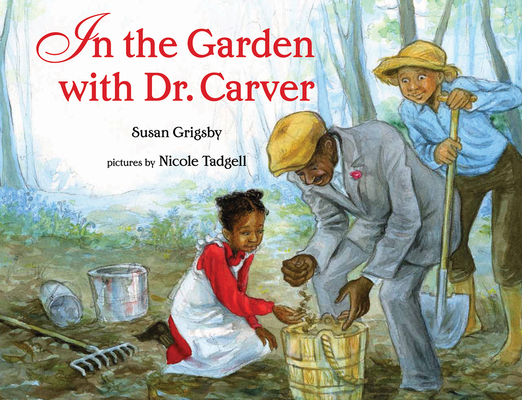 One day, Dr. George Washington Carver shows up to help the grownups with their farms and the children with their school garden. He teaches them how to restore the soil and respect the balance of nature. He even prepares a delicious lunch made of plants, including "chicken" made from peanuts. And Sally never forgets the lessons this wise man leaves in her heart and mind. Susan Grigsby's warm story shines new light on an African American scientist who was ahead of his time.